The present article reviews several approaches for inducing flocculation of Escherichia coli cells. The common industrially used bacterium E. coli does not naturally have floc-forming ability. However, there are several approaches to induce flocculation of E. coli cells. One is induction by flocculants—polyvalent inorganic salts, synthetic polymeric flocculants, or bio-based polymeric materials, including polysaccharide derivatives. Another method is the induction of spontaneous flocculation by changing the phenotypes of E. coli cells; several studies have shown that physical treatment or gene modification can endow E. coli cells with floc-forming ability. Coculturing E. coli with other microbes is another approach to induce E. coli flocculation. These approaches have particular advantages and disadvantages, and remain open to clarification of the flocculation mechanisms and improvement of the induction processes. In this review, several approaches to the induction of E. coli flocculation are summarized and discussed. This review will be a useful guide for the future development of methods for the flocculation of non-floc-forming microorganisms. The author (Y.O.) acknowledges financial support from a Grant-in-Aid for Young Scientists (B) (No. 17K14869) from the Ministry of Education, Culture, Sports, Science and Technology of Japan, and a Chemical Innovation Encouragement Prize from the Japan Association for Chemical Innovation. 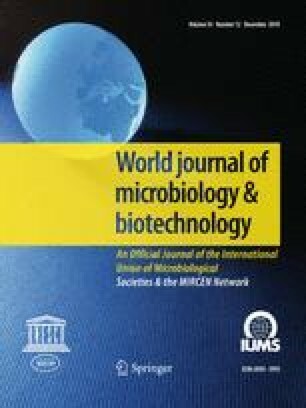 A draft of this manuscript was proofed by James Allen, D. Phil, from Edanz Group (http://www.edanzediting.com/ac).